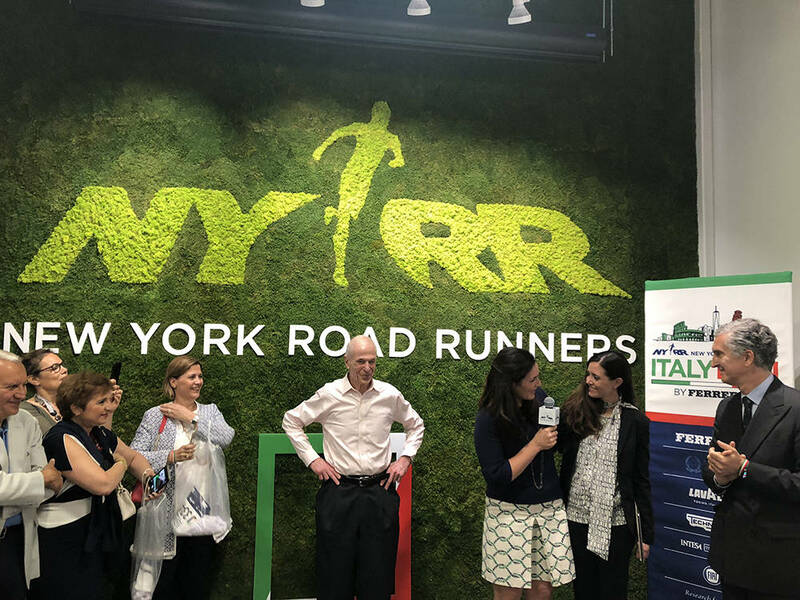 Yesterday, Wednesday, May 30th, the five-mile race "Italy Run by Ferrero" was presented at the New York Road Runners Center and attended by some NYRR representatives, the Consulate General of Italy in New York and many amateur and professional runners. 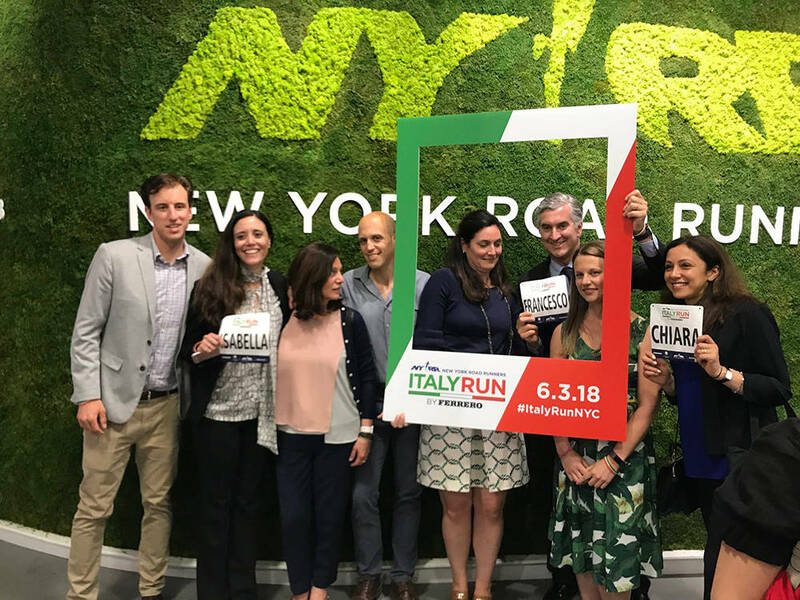 The competition will be held on Sunday, June 3rd, in Central Park to celebrate the Republic Day and to keep a touch of (tri)color to the heart of the Big Apple. 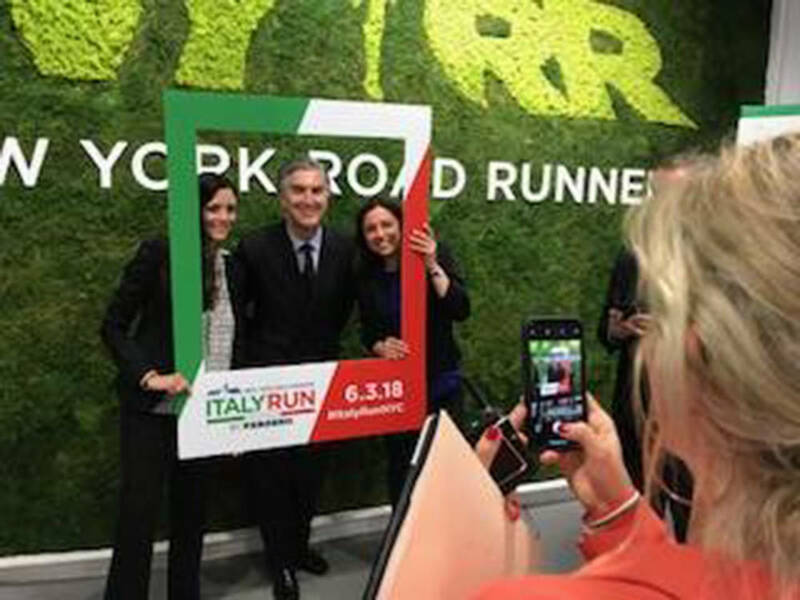 The initiative was achieved thanks to Ferrero, with the support of the Consulate General of Italy and other important sponsors, such as Lavazza, Intesa San Paolo, Fiat and TchnoGym. 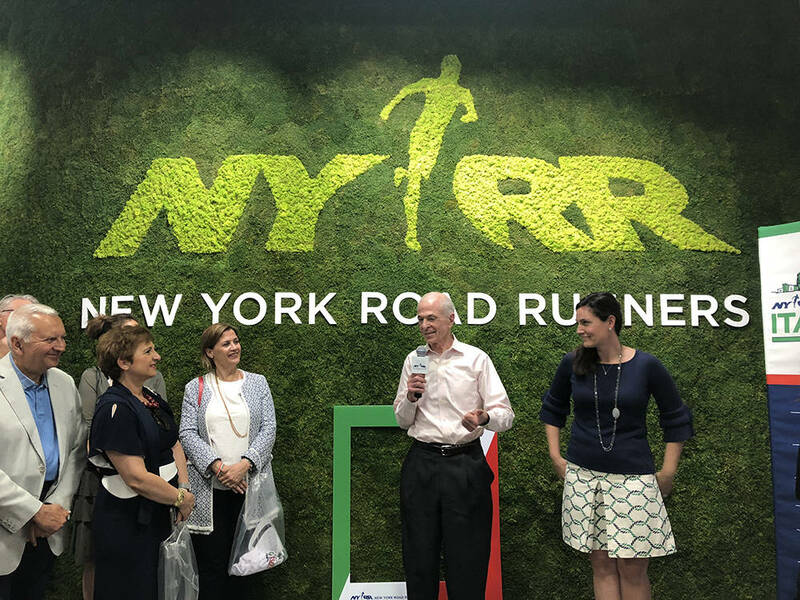 “I want to welcome everybody to the New York Road Runners Center. 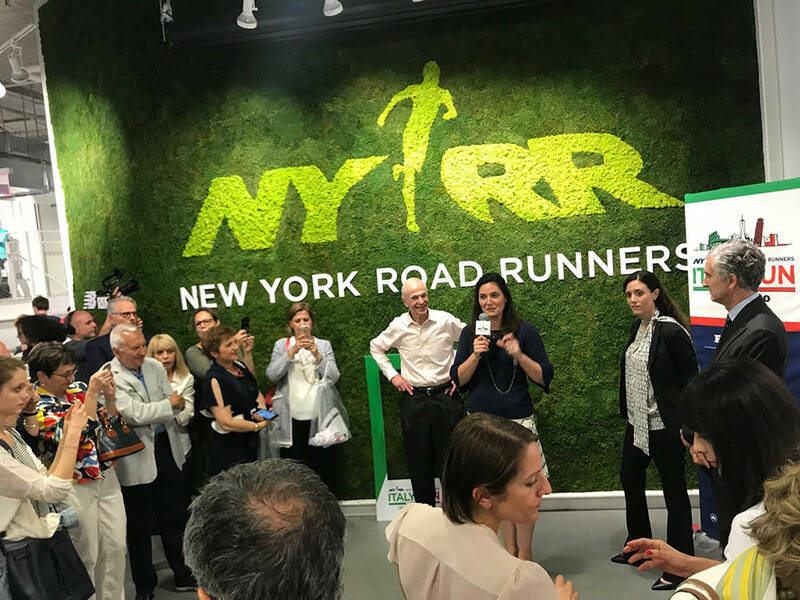 We are so excited and grateful to be here this evening celebrating the Italy Run by Ferrero”, said Sarah Cummins, NYRR Vice President, who opened the speech and introduced the Italian Consul General Francesco Genuardi, the Deputy Consul Isabella Periotto, and George Hirsch, chairman of the New York Road Runners Board of Directors and one of the founder of the New York City Marathon. “I think that since the first day we had this wonderful meeting with Francesco, Isabella and both of my bosses, Michael Capiraso and Peter Ciaccia, there was so much love in that room, and spirit, and passion from the very beginning. So you can imagine how excited we are that that day is finally here!”, continued Cummins. "An event people will talk about for a long time"
“I just want to echo the words of Isabella and Francesco”, said Mr. Hirsch then. According to him, this is one of those events that from day 1 was a success. I know it is going to be spectacular for all of you who are running. He confessed that this partnership with Italy was very special for him. “I lived in italy when I was young. I love Italy and I think there is a strong connection between Italy and New York. I have never met a New Yorker who doesn’t love Italy and I have never met an Italian who doesn’t love New York. I know that it is a special event people will talk about for a long time”. 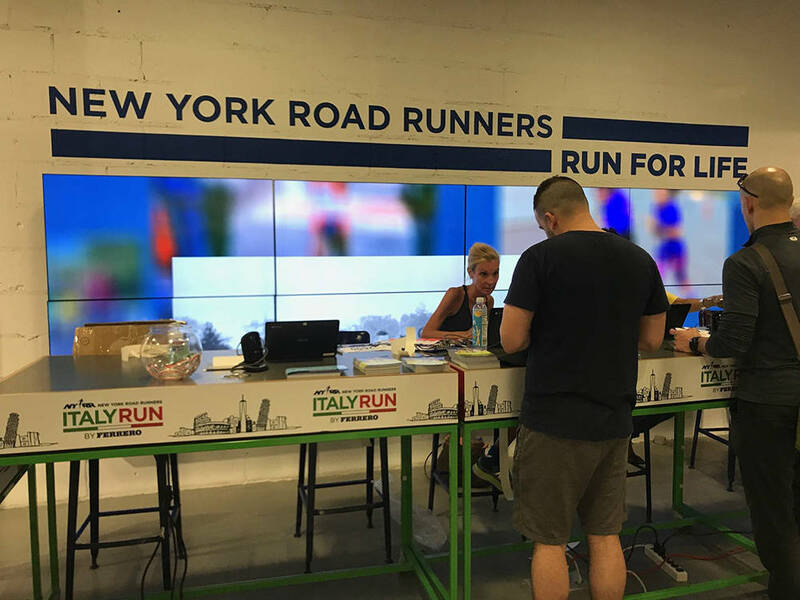 Regarding the importance of the partnership between Italy and New York, the representative of the CONI (The Italian National Olympic Committee) in the US Mico Delianova Licastro (already organizer together with the NYRR of the "Italianissima" race, which in 1998 saw the presence of several Italian authorities) expressed his opinion too: "It is a fundamental agreement for our communities, which lasts more broadly from the times when the bridges linking Manhattan to New Jersey and Long Island were erected. Many Italians have contributed to the construction of the city of New York over the centuries, receiving in the United States that warm welcome that we should be able to return to migrants today in Italy. Here the Italian lifestyle is much appreciated as the sport". As a representative of the CONI - Licastro has finally concluded - I admire this feeling very much and I think that that in Central Park is a wonderful initiative". Yes, Women Can Play Too!